You know when you throw something on with the hopes of it looking half as decent as you envisioned it in your head? Well that was me this day. My girlfriend, Alex, and I were headed to Neiman Marcus to meet and great with the lovely design duo behind the brand Veronica Beard. 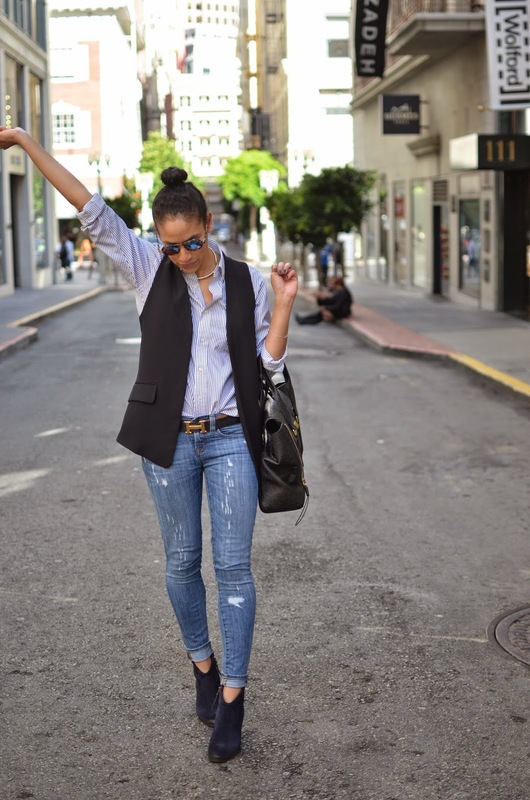 I wanted to look polished and thought you can't go wrong with jeans and a blazer. I pulled out a hardly worn Pumpkin hued collarless blazer, and it just didn't work, then another one, then another one. And by the time I got to this piece of outerwear, I was in the mindset that it was going to work- no matter what I looked like at that point. Thankfully it came out alright. I look back on these photos and see an Annie Hall thing going on, and it's not half as bad as I made it out to be...two snaps for that. I like this outfit. I cant tell you how simple but polished it is. I have been inspired. This outfit is lovely! I love you in blazers - all of your blazers! Your collection is covetable! I seriously need to know where you find (and keep) them all! Beautiful shots by Alex too! 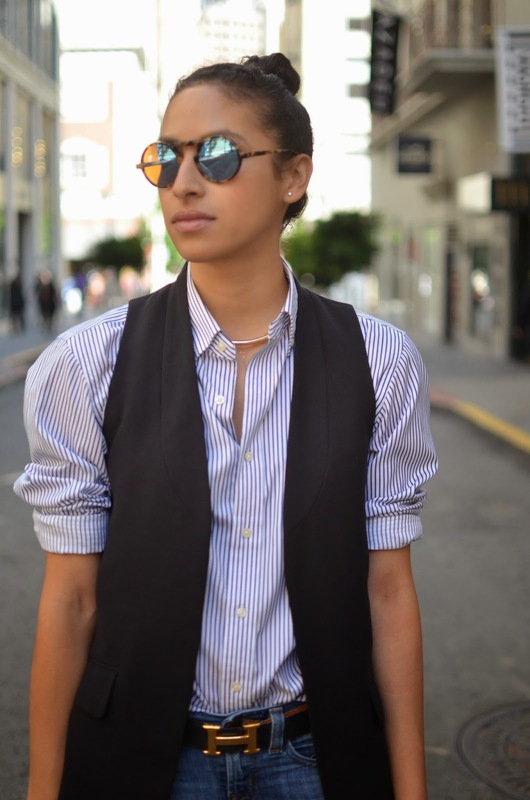 Love this look + it is so classic Carlina with just the right touch of menswear inspiration!